Our range of products include booster system. 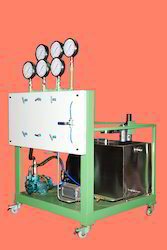 We are engaged in offering a wide range of Test Rig-Booster System for Valve Body Shell Seat Testing .One can avail these in various technical specifications, range and models as per the precise demands and requirements. Looking for Booster System ?